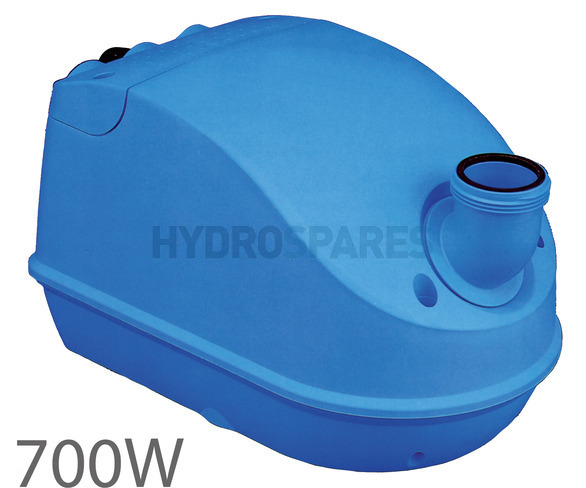 The Airbath Genesis range of blowers made by HydroAir are easily identified by their distinctive blue or blue & white casing. They are used by many hot tub manufactures but will more commonly be found as the blower of choice in many whirlpool baths out there. BEFORE YOU PLACE YOUR ORDER PLEASE CHECK THAT THIS IS THE CORRECT MODEL FOR YOUR AIRBATH. This version HAS an internal PCB (printed circut board). The PCB allows you to connect your Airbath touch pad directly into the top of the blower. This would be how your current blower is controlled. Great product, easy to fit, prompt delivery and excellent technical backup. Do you have the 500w version please?